Cranbrook was awarded GOLD in the small town category. Full details are on our Facebook page. 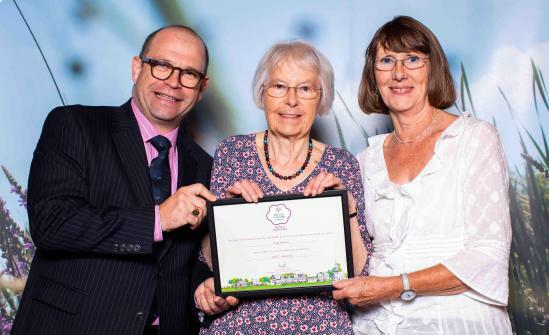 Linda Page, the Chairman of Cranbrook in Bloom, was presented with the Community Champions Award. 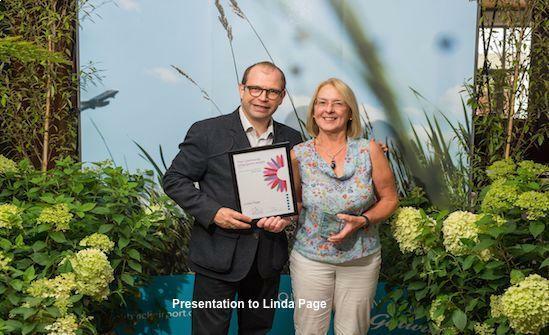 This is richly deserved for the many years of service that Linda has given to the Community. 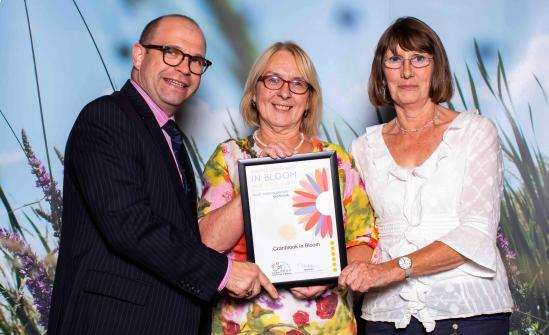 Cranbrook in Bloom has been around for a few years (since 1999) and the group has had a big impact on Cranbrook. 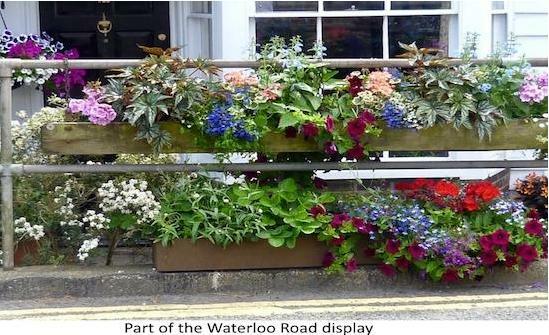 Just think how bare it would look without the planters in the High Street, Stone Street and in the Regal Car Park. There's always something going on at Cranbrook in Bloom so if you would like more information or to lend a helping hand please do get in touch! What a great statement the Wilsley Pound roundabout is. 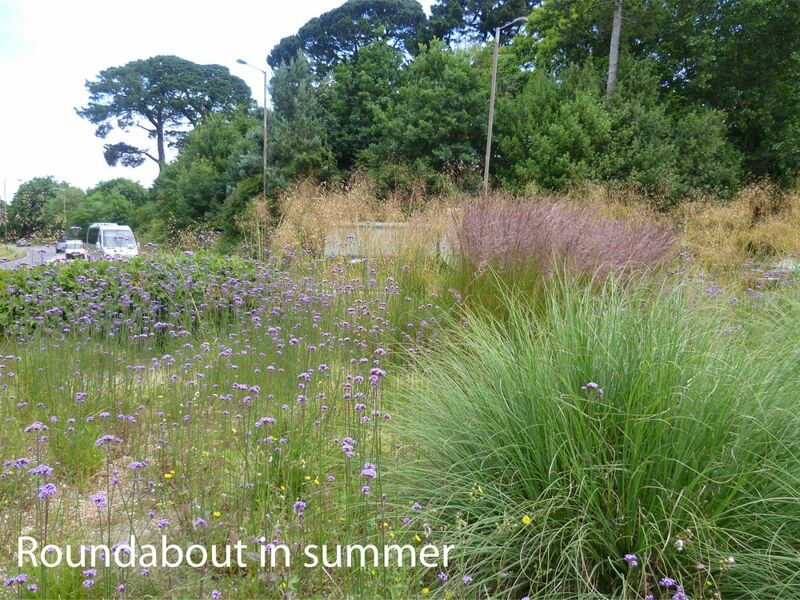 The group maintains the roundabout, with several haircuts throughout the year and a surprising amount of weeding. (We had thought it would be low maintenance!) It looks amazing in the summer and magical in the winter and is well worth the effort. 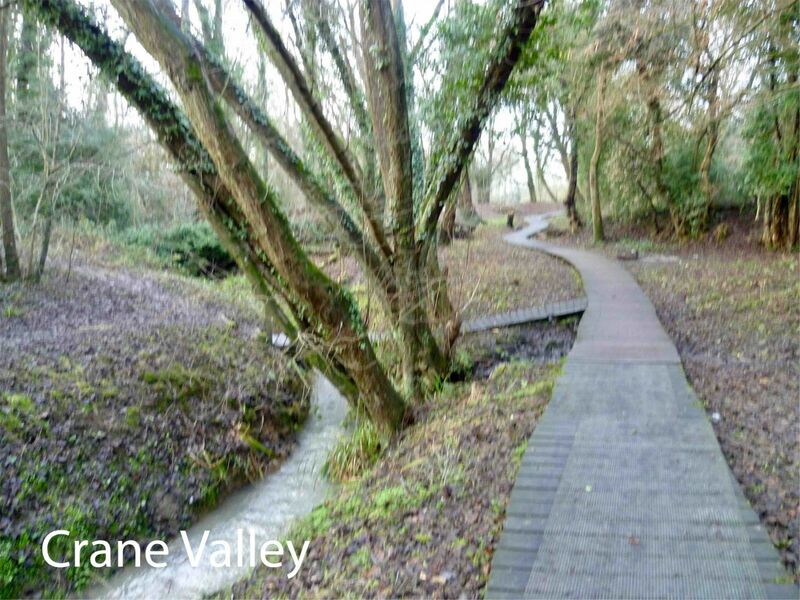 are:- The Library Pond, Crane Valley, The Copse at the top of the High Street and Forge Orchard. Please take note of our 'Dates for your Diary' events and work party days. 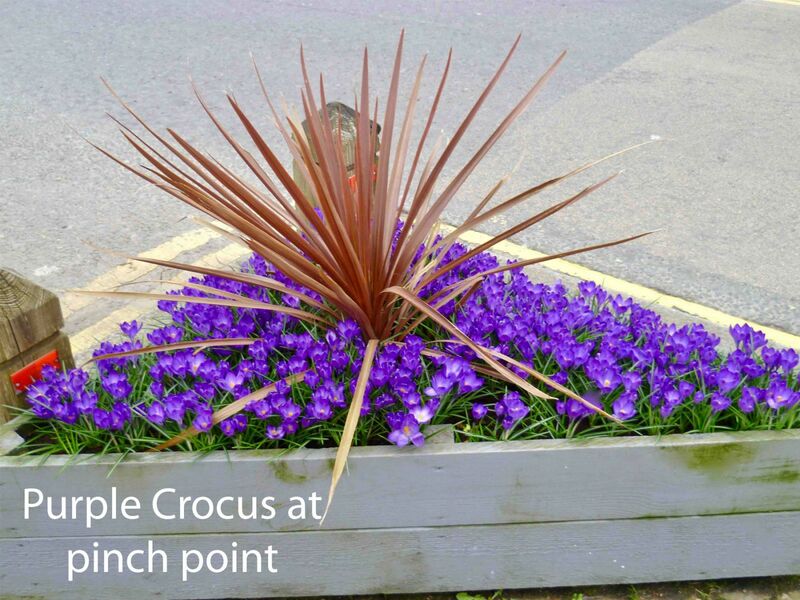 We aim to ensure that Cranbrook is attractive and welcoming to all its residents and visitors, through the planting and maintenance of flowers and shrubs in the Town Centre and a number of other green spaces around Cranbrook. At present we have quite a small nucleus of active supporters and would welcome more. There are many different tasks to be completed, some are hands on gardening but there are many others e.g. secretarial work, advertising, help at some of our events throughout the year etc. If you would like to be involved you will be very welcome. To find out more please get in touch. For details of upcoming events see the Events section of this website.